Artist Ray Kleinhelter has long been inspired by the Ohio River, even refurbishing an old cruiser to be a floating studio. 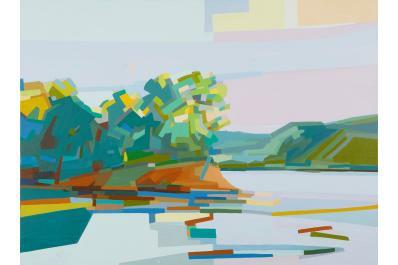 Kleinhelter’s paintings and drawings balance between description of the river and its shoreline, and a concern for abstract order. 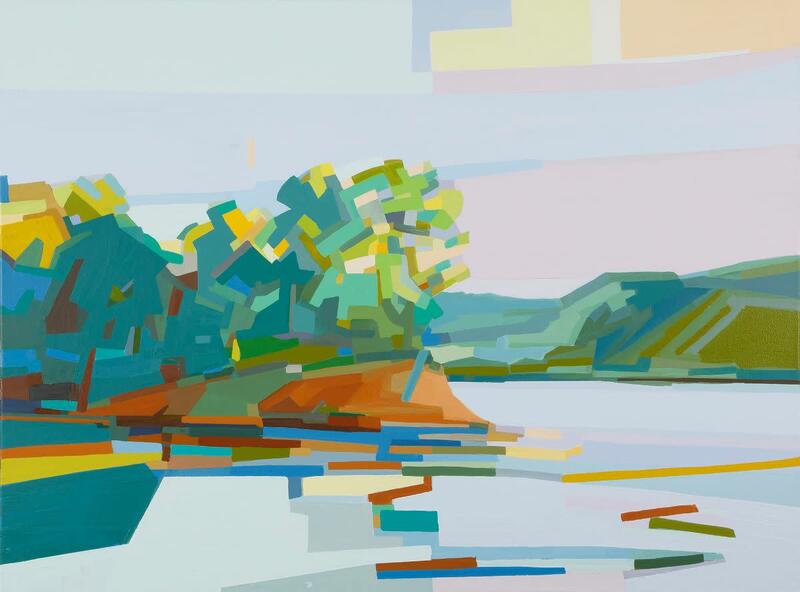 His gift for color and rhythmic composition make his work a vital addition to the long roll call of artists who select the Ohio River Valley as their principal subject matter. This show is a part of AFLOAT: an Ohio River Way of Life, a year-long project that celebrates the life and work of Harlan Hubbard and the Ohio. Kleinhelter Gallery is new to New Albany. The creation of this impressive gallery space from the decrepit shambles of a 100-plus-year-old building has been a labor of love — as well as a Herculean undertaking for Ray and his wife Gina, who is also an artist and their two adult children Grace and Zach.